With over 15 years of international industry experience, The Squared Division is a force to be reckoned with. Two singular talents, Antony Ginandjar and Ashley Evans, join to equal a powerhouse team in high demand both in Hollywood. 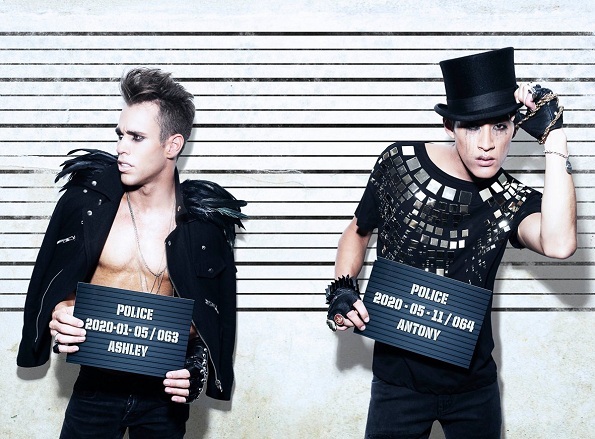 Collaborating with some of the hottest names in the industry such as Ke$ha and Taylor Swift, Antony and Ashley fuse their love of fashion, recording, styling and choreography to produce one-of-a-kind events. Dance Informa caught up with the boys to chat about their start in the industry, and continued international success. Can you tell us how The Squared Division came about? We were professional dancers before we met. We actually met back in 2005. We both dabbled in choreography, but on the side Ashley was always working in fashion styling and I had an interest in song writing and recording. So it wasn’t until 2007 that we officially joined forces and decided to put everything we loved doing under one umbrella: styling, recording and choreography. From there, The Squared Division was born. How well do you think you complement each other? We really complement each other. 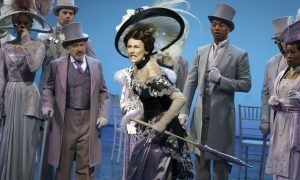 For the most part as creative directors, we deal with the lighting, designing, set prop design and camera shots; then choreography is the next step. We have such a large scope of duties and we really know how to delegate according to each other’s strengths. I guess that shows the 100 percent trust we have in each other. We’re able to stand back and critique each other’s work objectively and come up with something we both love. Ashley, would you say fashion is what inspires you with your choreography? Art and fashion really inspire us. Alexander McQueen and Givenchy; I think clothing can change a performance. That piece of clothing also allows us to transport to another time and place. That’s where we get our direction from, and then the choreography as well. When you’re working with stars such as Ke$ha or Taylor Swift, do you have an input as to what they wear? Definitely. I guess that’s where the creative direction side comes into it. 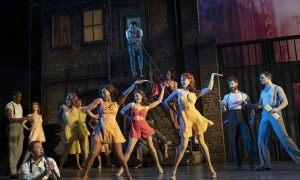 We put together what we call ‘creative treatments’ that involves not just the stage, lighting and choreography, but also the costumes for the dancers and performers. From there, we direct the artist’s personal stylist with what vision we’re seeing. They will then come back with their thoughts and it becomes kind of like a collaboration. What is it like working with Ke$ha? What we love about her is that she’s crazy in a really good way (laughs). She allows us to push boundaries and she pushes us quite far out of the box. We really love that. She’s a pop star but at heart she’s a rock god fusing her crazy rock and roll with her pop songs. We’ve been working with her for three or four years now, so we know exactly what she’s thinking. Which choreographers inspired you when you were first starting out in the business? I think for both Ashley and myself, the big one would have to be Bob Fosse. Then growing up in the pop era, Wade Robson is someone we have always looked up to. Kelley Abbey is a major inspiration for us as well. When was the last time you had a ‘pinch yourself’ moment? I guess the last time would probably be late last year. It was when Ash was back in Australia and he was working on the finale for the X Factor Australia, and at the same time I was in LA working on the American Music Awards with Ke$ha. It’s not often that we have to split up but we had two massive jobs on, so we had no choice. And then on top of all that, we got a call from our US agent telling us we just booked Taylor Swift! That was a spin out! After the meeting I called Ash on opposite sides of the world and we couldn’t stop laughing with amazement. We were literally pinching ourselves, thinking this was crazy, really stressful, and yet wonderful all at the same time! Do you ever feel pressure living in LA? Not really. Every time we’re in LA we’re working. I guess we’ve been really lucky that as soon as we’re here in LA we’re working on big jobs. We haven’t experienced too much pressure yet (laughs). We’re very much day-by-day people and look forward to what the future may hold. We always say we wish we could do it more often. Master classes are definitely our way of getting back out there and seeing how the younger dancers are coming along. Hopefully we inspire them as much as they inspire us. At the end of the day, we’re only as good as our dancers. We really pride ourselves in working with amazing talent. Where do you hope to see The Squared Division in the next five or so years? I guess our goal is to continue to build our business in the US and all over the world, as well as continue to be strong in Australia. It’s always been a goal of ours to direct or choreograph an arena or stadium show for a music artist. That would be in five years or even less! And we’re both really passionate about the film industry, so all those things are on our cards. To find out more about The Squared Division and keep up with all the news, visit www.thesquareddivision.com and www.facebook.com/THESQUAREDDIVISION. Photo (top): Ashley and Antony of The Squared Division. Photo by Marvin Joseph. dear anthony heloo frends do u remember me??? im okky cousin..